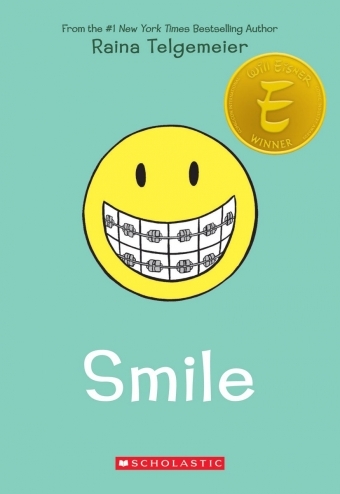 The graphic novel ‘Smile’ by Raina Telgemeier is all about the challenges of being a middle schooler going through orthodontic treatment. Mnay of our patients can relate! 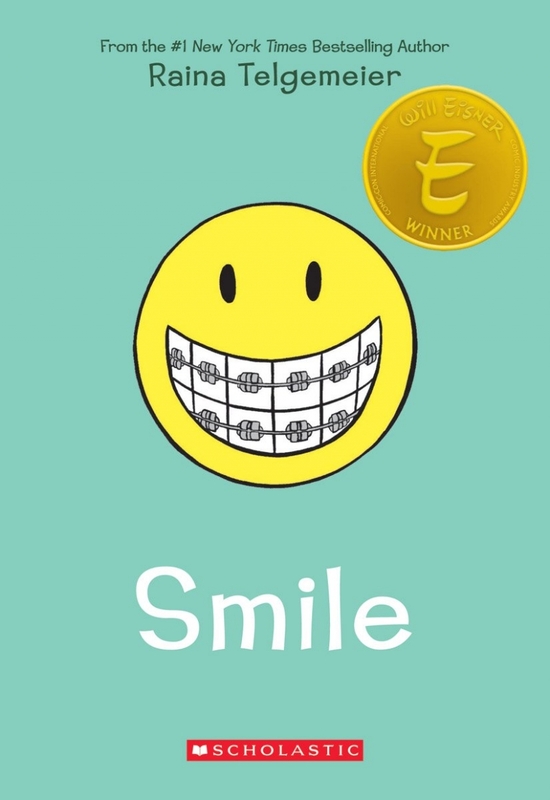 ‘Smile’ by Raina Telgemeier is all about Raina, who wishes she could just be a normal 6th grader. Unfortunately, one night she injures her two front teeth in a fall, and this leads to a long and frustrating ordeal involving braces, surgery, cringe-worthy headgear… and even a retainer with false teeth attached. Combined with all the standard confusion about boys and the social challenges that come with being a middle schooler, and Raina has an uphill battle on her hands when it comes to making it through the 6th grade! Dealing with braces and orthodontic treatment can be frustrating and just plain hard, especially when all you want is to fit in and feel ‘normal’. This sweet and funny coming of age story is relatable for middle school-age kids, but it will resonate with anyone who has ever suffered through those middle school years – especially with those who, like Raina, had some dental drama thrown into the mix!